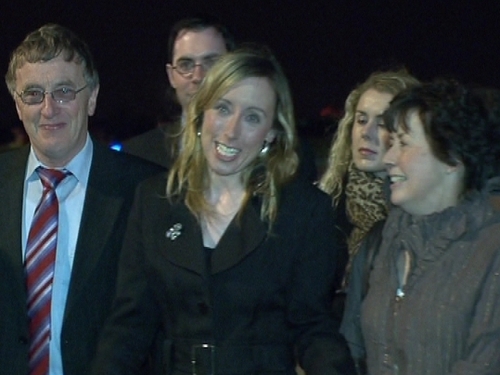 Freed GOAL worker Sharon Commins arrived at Casement Aerodrome in Baldonnel shortly before midnight to be greeted by her family. Ms Commins was held captive for 107 days in Darfur along with her Ugandan colleague Hilda Kawuki. During the period, the two women were guarded by up to 18 armed men and moved to several locations in the mountains where they slept outside. The 33-year-old Dublin woman spent some time with her family in a private part of the aerodrome before attending a news conference where she spoke about her ordeal. She said: 'Up until now all of it was just a dream. I dreamt so often when I was on top of a mountain of getting back to Ireland. Ms Commins admitted there were times she feared she would not come out alive. 'There would be some very dark minutes like that, but you'd kind of dispel them and try and think on a more positive level,' she said. The aid worker said she was looking forward to enjoying a glass of champagne and some home comforts after her long ordeal. 'I've been craving eggs Benedict since day seven so I'm going to satisfy that need first and foremost,' she said. 'I'm going to go up to a bed that isn't on a rock and where I have a pillow and I don't have to use a dirty sack that used to be around onions and smells of onions. Ms Commins' mother, Agatha, thanked the Department of Foreign Affairs and the people of Ireland for their support during her daughter's captivity. 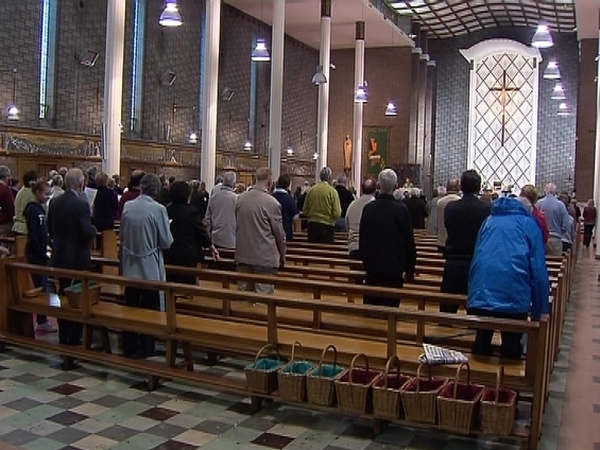 'Our parish has been amazing, they took us under their wing and they minded us and they prayed for us every day. They were just so good to us and they gave us the strength to cope with this. 'The darkest hours that anybody could ever be in, we have been through it but this is a happy occasion so we're not going to go back there,' she said. The Minister for Foreign Affairs welcomed her home on behalf of the people of Ireland and said it had been a long and painful wait. Micheál Martin said he made clear to the Sudanese authorities during the negotiation process that he did not want alternative options, such as armed action, to be taken to free the women. He added: 'We knew from early on that Sharon was a special type of person, a strong person, good mental resilience and it was just incredible that both herself and Hilda held themselves together throughout that three months plus. President Mary McAleese will host a reception for the aid worker, her friends and family, and the agencies who supported them and helped secure her release at Áras an Uachtaráin on Thursday. Government authorities in Sudan are reported to be seeking criminal charges against the kidnappers. The Taoiseach, Brian Cowen, and the leaders of Fine Gael and Labour have joined in welcoming the return home of Ms Commins. All three also paid tribute to her family, for their fortitude during her captivity, and to the work of the diplomats involved in the negotiations to free her.